Even though more “main stream” attention is being focused on bipolar disorder and other mental health illnesses, a stigma still remains. If you do not have a mood disorder, it is impossible to truly understand how any of the misconceived preconceptions can affect a person’s life. Everything from the way their friends view them to relationships at work. For many, the stigma that still surrounds any type of mental illness eventually ends up affecting every aspect of their life. Many still view mental disorders as a “circumstance or quality” and not illness. For example, rarely will anyone feel ostracized if they’re diabetic. Instead, sympathy and compassion are common. Why this still holds true today, it is often debated. Religious and social beliefs are partly to blame, but changes are slowly being made. Advertisements are helping, even though they are often scripted, but getting the message out that bipolar is an illness and not something that we just imagine is important. 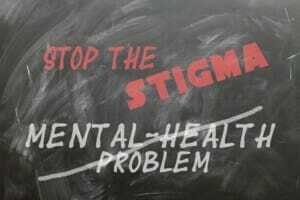 It can help to mitigate the stigma that always seems to surround any type of mental illness. First of all, it is different for everyone. What one person experiences in their life, may not necessarily apply to you. Some employers are great, while others may be not. The same is also true for friends and even family. Facing the stigmatism that often comes with disclosing your bipolar diagnosis is difficult, and occasionally heartbreaking. It is NOT an illness that is often easily understood. After all, “your bipolar”. You’re already being stereotyped. How easy is it for someone else to understand this illness. It is an illness, not something you chose to have. Being “bipolar” isn’t easy and it is the same for the people in your life. 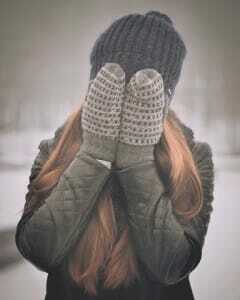 They care about you, but there is always that “but”. You’ve told them and can feel like they are sometimes “walking on eggshells” around you. That’s not what you want, chances are it’s not want they want either. Whether it’s a friend or a family member you just want them to see you the way they always have. Unfortunately, that is part of the stigma that still surrounds this disorder. Stating that you have this mood disorder can, and often does, change significant relationships in your life. For some this is an important relationships in your life. You’ve worked hard to prove yourself or are just getting started. Either way, how do you tell your employer that you are dealing with a type of bipolar disorder? Chances are you’re worried about how your co-workers will react. Then there’s management. However, you can always file a complaint with the EEOC if you are terminated simply because of your illness. What you need to do to ensure that you are not discriminated against is to inform your employer, it is necessary if you want to protect your rights. For most, informing their employer won’t be easy. It will be worth it. Not only will this help your legal standing, the weight of not having to hide the illness can make it just a little easier in your life. You won’t have to come up with excuses when the disorder makes it impossible to go to work. Management will be able to better understand why you can seem “unstoppable” one day, and barely able to function the next. This also applies to your coworkers, and once again they might view you differently but it’s often better than trying to hide the illness or constantly have to come up with excuses. Even though others at work might treat you differently, just “be yourself”. This might seem simplistic but it does seem to work best, especially if you are new to the job. This way, your co-workers will be able to begin to understand that Bipolar is nothing to be ashamed of, it is a part of who you are. You might be surprised that after time, no one treats you any differently at work they do the others without a mood disorder. If you do feel like you are being discriminated at work due to your bipolar disorder, speak out. Talk to management and if your company has an HR department be sure to let them know. Documenting any stigma you might be experiencing is important, especially if bipolar is the reason the employer “let’s you go”. You will need this when you file a wrongful employment termination claim. Which friends do you tell? How do you even broach the subject? Do you tell them once you are diagnosed or do you wait until your symptoms are impossible to ignore? There are no easy answers to these questions. Like everything else about the disorder it will depend on you. Typically, only a few close friends are told. Ones that you trust and can envision being in your life for years. Some might even become part of your support group. These are the friends that aren’t afraid to tell you when manic symptoms could be appearing and help you when depression hits. It won’t be easy. Letting even your best friend into your deeply personal life involves emotional risks. However, it can be worth it in the end. For some, it could even save a friendship. Now they know why your moods can be “extreme”, it wasn’t anything they did, it is just a symptom of your illness. Sometimes, open and honest conversation is truly for the best. You also get to relieve some of the stress that comes with keeping an illness hidden. As you probably already know, stress can be a trigger for a manic or depressive episode. Eliminating and managing stress is a helpful tool that can help reduce your bipolar symptoms. Some people find telling their family about their bipolar diagnosis is more difficult than informing bosses and friends. Even though you’ve known your family your entire life, they can also be the most judgmental. In an article published in “Bipolar Disorders in 2007” an extensive survey conducted in Europe found that 28 percent of participants felt like they were “devalued” by their family. The same article also reviewed 17 studies conducted in Europe, Israel and across North America. It stated that “stigmatization and rejection within the family appear as important problems”. When and who you tell in your family is entirely up to you. Some people are comfortable talking to their parents about this disorder, and other state that they are the last people they want to tell. It all depends on who you feel comfortable with and trust. Actually, trust is extremely important. The last thing you probably want is to become the main topic of conversation at family get togethers. Choosing which family members can be daunting. You don’t want your diagnosis to cause them to pity you or act like you are incapable of handling anything on your own. Think about who you are close to. They are probably also the ones that don’t shy away when you’re in a manic or depressive state, even though they might not understand why it is occurring. Make sure that they aren’t prone to gossip. This is important. Finally, ask yourself this question. Would you be able to contact them and receive the support you need during a bipolar episode? Something else to consider is an in-law. They might not have been around your entire life, but they are still a family member. Sometimes, they can be less judgement. However it is still important for you to trust them and feel comfortable reaching out whenever you need support. Remember, the choice is yours on who you tell and when it is done. It’s easy to tell someone to just ignore the stigma but doing so is difficult, especially when it concerns mental health illnesses that aren’t your fault that you have. Overbearing friends and relatives can take a toll, along with the feeling that you are being treated differently than others. This also applies to co-workers and management. While you aren’t in control of the feelings and behavior of others when it concerns any type of bipolar disorder, it doesn’t have to always negatively affect you. Some of the same material you’ve received since your diagnosis can be a helpful educational tool to use with those you’ve told. Magazine articles and simple internet searches can also provide the information people need to start understanding that they don’t need to be afraid of you, walk on eggshells for fear of triggering an episode or treat you as if you are incapable of caring for yourself. Start a conversation, don’t leave the people that know you have bipolar disorder in the dark. This lack of understanding is what often contributes to many of the misperceived perceptions. If you need to talk to someone before disclosing that you are bipolar, there are counselors that can help online and in person. They might be able to help you decide who to tell and what to say. Just remember, you don’t have to manage your illness alone and it is possible to overcome at least some of the stigma that often comes with this disorder.